My name is Tera Fullove I am asking for help on behalf of my cousin Amber Brown. On 1/1/2016 Amber was found unresponsive on her Norfolk State dorm room floor. Currently Amber is in the hospital fighting for her life. She had to be put into a medically induced coma because she is constantly having seizure and brain swelling. Amber's mom is the only one working at the time because her step dad is in and out of the hospital dealing with diabetes. Amber mom is going to need help with hospital and traveling expenses, food, etc. She is going to have to be out of work to help Amber when she gets out her coma and get well enough to come home. It will be great to get help as soon as possible so Ambers mom knows that she is able to take care of Amber without getting evicted from her home or lose the family transportation. it means so much to me because Amber is the type of person that loves everybody. 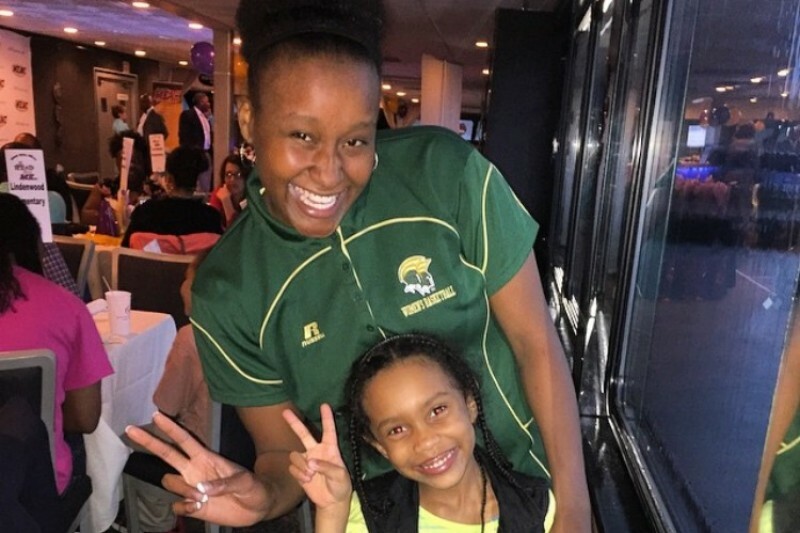 She is on the Norfolk State womens basketball team and has a 3.8 gpa. I know that if I was in her situation she would do the same for me, No matter how big or small the donation is I and the rest of the family will be very thankful for any givings . Thank you in advance. I want to thank everyone who has donated so far , Ambers mom is truly thankful and appreciative of everyone also. We want to think you for your support. We cannot reach everyone to say thanks but we are trying. Les, Sharon and Shayla Tanner are in prayer for complete healing. Amber you are in my prayers...Lovejoy Cougars 4Liiiife !! !